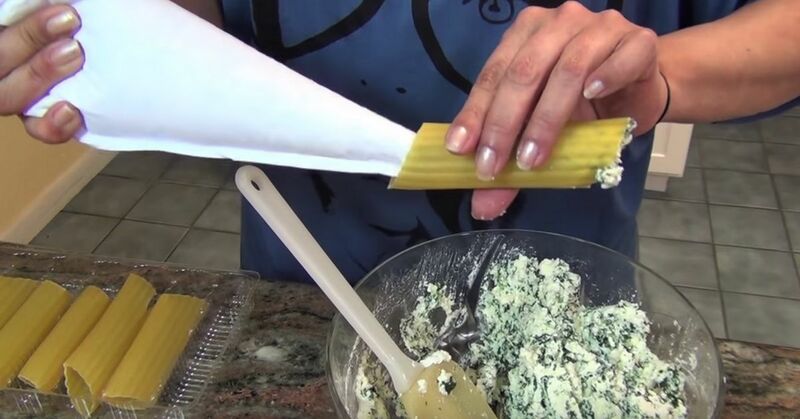 Loosely translating as 'big sleeve,' manicotti is the pasta lover's pasta. 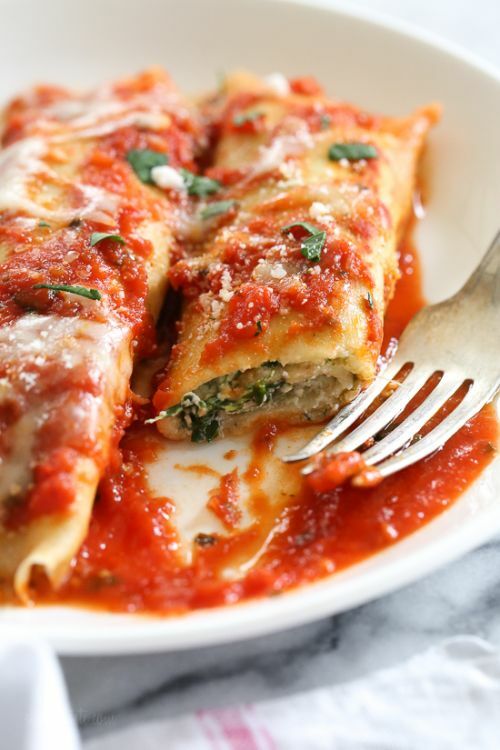 Strictly speaking, in Italy, manicotti is a crispy, filled crepe, but most of us are more familiar with the ridged, cannelloni-style pasta of the same name. 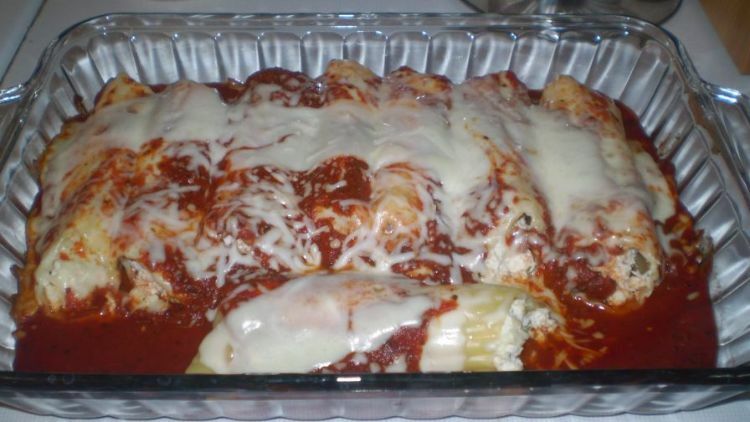 Manicotti is brilliantly versatile and absolutely delicious to eat. The perfect choice for a fix-and-bake type pasta dish, any of these recipes will make a handy and super-tasty addition to your weekly rotation. This recipe is awesome. Apart from the amazing 3-cheese flavors, there are some really handy techniques to be picked up from the brilliant video. But beware, you'll be craving an Italian pasta feast as soon as you've watched it! 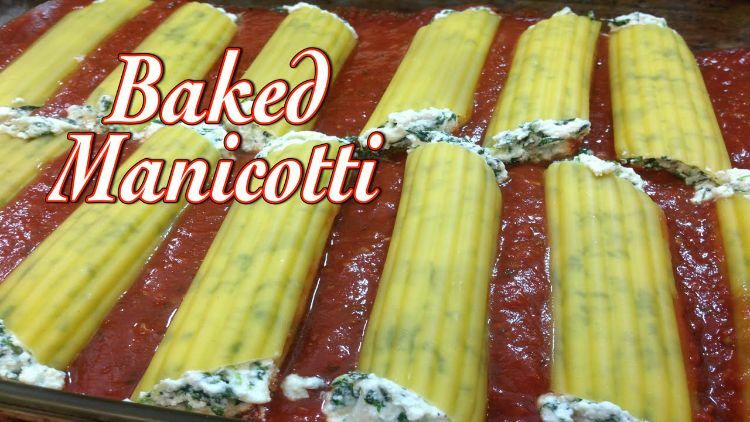 'Crepe' style manicotti here, and boy are they good! This clever recipe manages to make healthy and wholesome taste pretty indulgent. In a really, really good way! 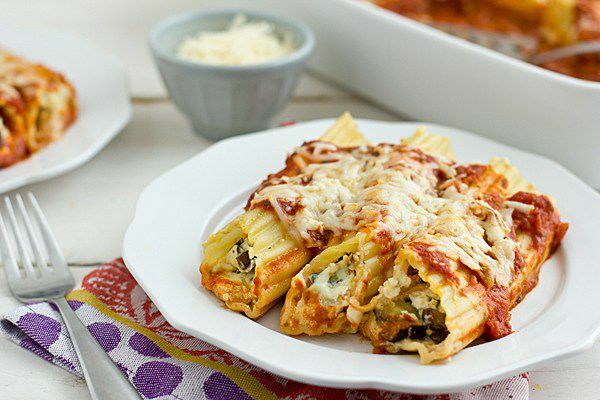 Vegan's can get in on the manicotti/marinara sauce love with this smart recipe that uses mashed tofu in place of the ricotta. With the garlic and herbs dialling up the Italian flavor, you'd never know the difference! 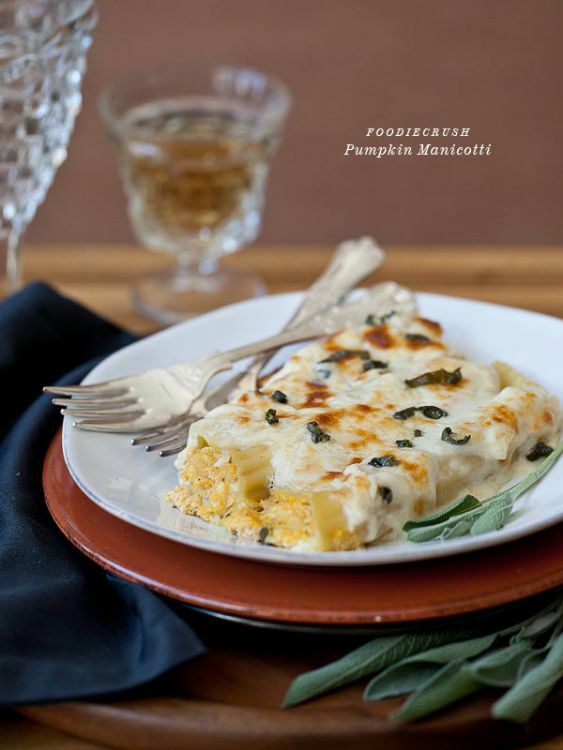 Pumpkin and pasta make a dreamy combination, and the delicious duo work brilliantly again in this lovely recipe that calls for fresh sage and nutmeg to softly scent the manicotti filling. Italian spicy sausage takes the lead in this hearty, make-it-tonight recipe for a punchy pasta dish that will go down a storm! 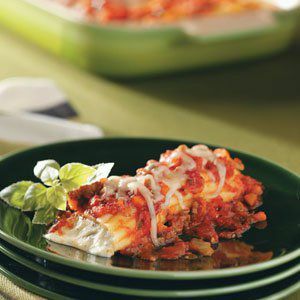 This is delicious - manicotti is filled with chicken combined with creamy cheese and aromatic herbs, then baked in marinara sauce for a yummy, easy dish. You won't miss meat in this Mediterranean-inspired, roasted vegetable dish that manages to be rich, hearty and still a little healthy-tasting, all at the same time! 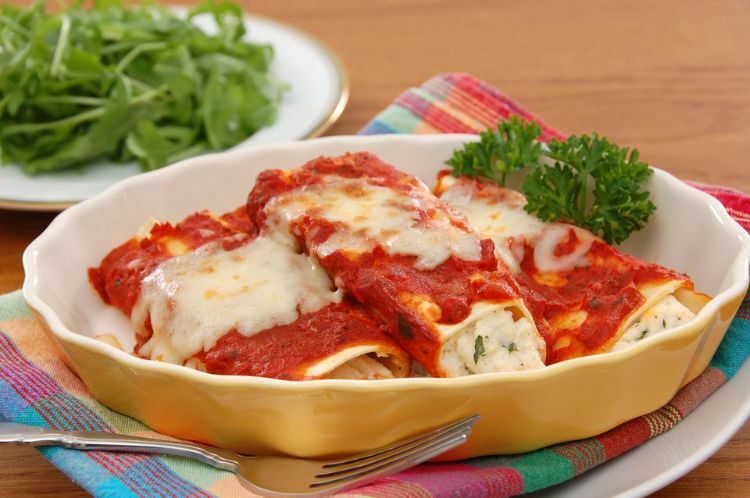 The flavor of the oregano here is spun beautifully through the creamy chicken filling. The parmesan and basil sauce is easy to make and a useful one to master as well!